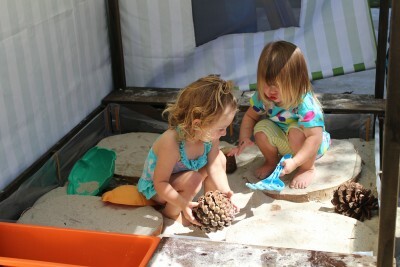 Lakeshore Kids & Company has developed a new Infants and Toddlers Nature Explore Classroom. 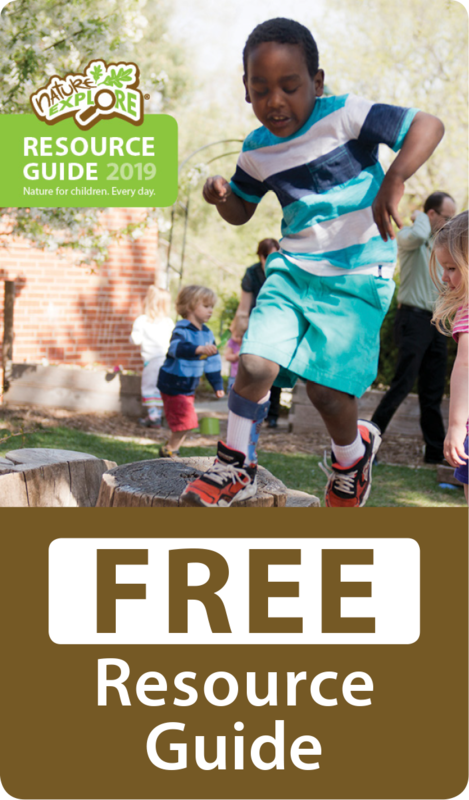 This space has been transformed into a wonderful addition to a program which has already made the commitment to connect children with nature each day. In August of 2009, Lakeshore Kids & Co.’s preschool outdoor classroom space received national certification through Nature Explore. Each area in the infant/toddler outdoor environment contains all areas needed for certification as outlined in the Dimensions Educational Research Foundation’s Learning With Nature Idea book. Each area is visibly divided, enabling the children ample space for individual or group exploration and interaction. The Entry Area is adorned with a beaded arch which was lovingly made and contributed by the preschool children. Each area has whimsical signs with either letters or visual cues, made from natural materials, and some have also been made by the older children. All areas allow for visibility by providing low planter beds, and placement of gathering areas for young infants that are arranged with ample shade and temperature in mind. The infants and toddlers are exposed to natural elements such as large tree cookies, sand for digging, leaves for gathering and tree stumps for climbing. Part of the outdoor environment is located on a slope where grass has proven to be unsuccessful in growing. A decision was made to invest in high-quality synthetic grass with a natural feel. Now all areas are inviting for young infants learning to crawl and to explore the nearby tree stumps, sand area and low garden beds. A mixture of textures with plantings, shade covers, and trees all compliment the visual clarity for an enriching sensory experience. The plants and location chosen are based on the children’s interest to explore. Local trees have been cut and designed for climbing, jumping and gathering. Staff bring in materials collected from local sources to enhance areas. When considering materials for messy materials areas, much consideration was given to the safety of children with balance and spacial awareness. Additional supervision is given in these areas when the children are exploring with large branches or smaller materials. During the summer, the children had a 4th of July Bake Sale. Families and the community of Lakeshore employees were invited to come and purchase baked goods set up in the Nature Explore Classroom. When entering the space, people were able to see all the changes in progress in the outdoor classroom. Proceeds from the sale were used for new plants as well as seed packets. To kick off the new school year, each family was invited to take a small birdhouse home and decorate it as they liked. A wooded area was created in the foyer with natural elements such as tree branches for displaying each unique birdhouse. 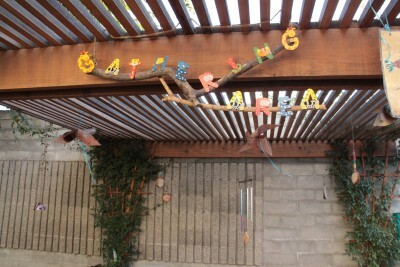 Each day, the families enter through this wooded glen and point out their adorable contribution.